Best Mass Gain Exercises that build muscle size and help you get mass gain results faster. We all dream of building muscle mass and having a huge solid physique with proportioned muscle size all round, but how do we obtain it? 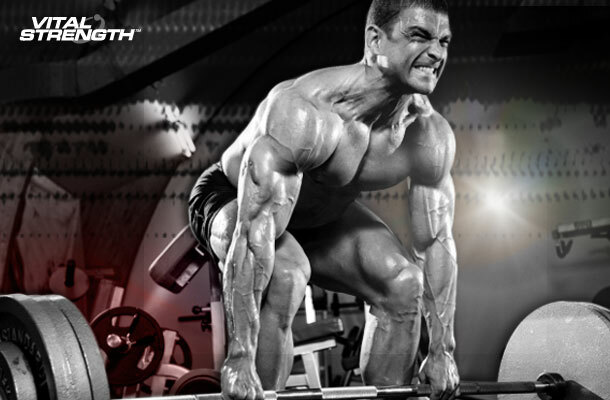 We asked expert trainer Josh Blottin for his top 12 muscle mass exercises to build muscle size. As any good trainer knows, you can’t build massive biceps simply by doing curls and you can’t build monster peck muscles just by doing hours and reps of Flat Bench Press. To build muscle size you need a well thought out mass gain program of both compound and isolated muscle mass exercises to best build muscle size! Below are Josh’s top 12 fundamental muscle mass gain exercises to aid in building serious muscle size. At least one of these top mass gain exercises should be incorporated into every muscle building workout depending on which muscle group your training session is focussing on. The deadlift is one of the best muscle mass exercises to build muscle size as it works more muscles simultaneously than most other mass gain exercises. Ensure back is straight and not curved, shoulders pinned back and core muscles locked. 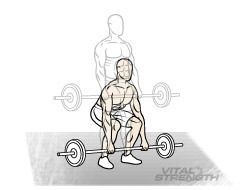 Barbell squats are a top muscle mass exercise for building muscle size not only in the legs but in the whole body. Ensure feet are shoulder width apart, glutes are stuck out, lower back straight and core muscles locked. 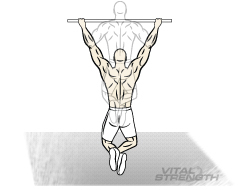 Wide Grip Pull-ups are an excellent upper body muscle mass exercise that target your lats. 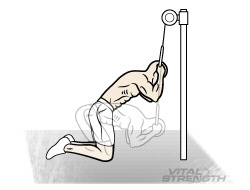 Ensure no momentum is used to lift, back is straight and that the lifting point is the lats and not arms. The bench press is seen as the king of chest muscle mass exercises and is one of the best muscle mass exercises for the upper body. Ensure elbows are not in line with shoulders on the negative phase of lift but slightly below. Focus the contraction/lift on the pectorals and not the arms. 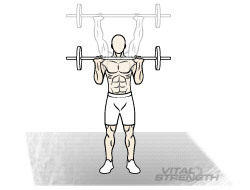 One of the best muscle mass exercises for the upper body is the standing military press. 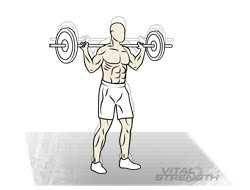 This mass gain exercise works the shoulders but will also assist with upper body strength for other lifts. Ensure arms are evenly spread apart, legs braced, core muscles locked and barbell is lowered to top chest on the negative phase. 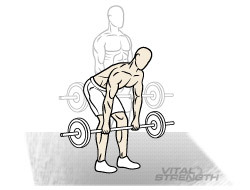 The straight legged deadlift is one of the best exercises for your hamstrings and is a variation of a standard deadlift. Ensure back is straight and not curved, shoulders pinned back, glutes stuck out and core muscles locked. 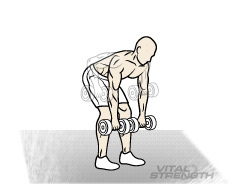 Bent over dumb bellsl rows help to build muscle mass of the entire back. This mass gain exercise uses 8 major muscle building muscles in the lower, middle, and upper back. Ensure knees are bent, lower back and core muscles locked and all focus is on the contraction of mid/upper back. 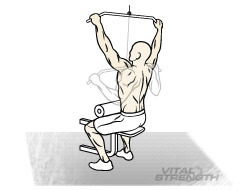 If you want the ultimate “V” shape between your shoulders and waist, Wide Grip Lat Pulldown is a great mass gain exercise that will help you build a broader, stronger back and upper body. Ensure back is straight and no momentum is used to pull weight down, bring bar right down to clavicle with your head looking up. 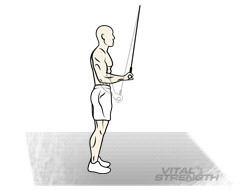 Pull down with your lats not your arms. 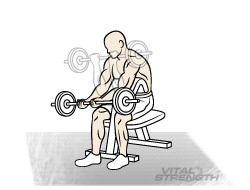 Bicep Preacher Curls are a great mass gain exercise for growing the lower part of your bicep. Because your arm is held stable the bicep is worked in isolation. Ensure your seat is in right position and your not slumped over bench too much. Ensure arms are straight at the end negative phase and wrists are always straight to ensure that you build a nice peak of the bicep. A popular muscle mass exercise the triceps pushdown is an isolation exercise used to build muscle size, while defining the triceps muscle. Ensure knees bent, body leant forward, elbows tucked in, bar brought all the way down to ensure triceps fully extended and arms straight. On negative phase of this muscle mass exercise ensure the bar does not come too high as to keep triceps in constant tension. The dumbbell calf raise is the best mass gain exercise for working the calves and when it is performed correctly will work all three calf muscles. Ensure knees slightly bent, feet straight and heels lowered past the platform to complete full range of motion. One of the best muscle building exercise for sculpting six pack abs, cable crunches will help you feel the burn and get results. Ensure glutes are resting on heels, elbows bent and in line with your head, breathe out on contraction and in on negative phase of exercise. All muscle mass exercises should be performed heavy (80% of 1RM) with 3-5 reps of 8 sets. No more than 4 separate mass gain exercises should be completed in a single build muscle mass workout session. Used in conjunction with the right nutrition, rest and supplements designed for Muscle Mass & Size these muscle mass exercises will do wonders for gaining muscle mass.